Today’s post is talking about this gorgeous lip colour, that turned out to be a bit of a BARGAIN. I was on the hunt for a colour that would go pretty nicely with my velvet boohoo berry swing dress. I wore this dress to my Christmas party the other day and got lots of compliments, even if I didn’t feel in my comfort zone in it! It is very different to what I normally wear, and it was quite long on me, being only 5’1 but I EMBRACED IT hahaaa. But anyway, whilst on the hunt for the perfect lip colour I came across this one. I was originally considering MAC Diva, which is really stunning. But I came across this little beauty. I have my days where I like it on me and my days where I think it looks awful and doesn’t suit me. But it goes with the dress so well! Anyways, this was £5, and I got it for £4.50 with student discount. I thought it was a total bargain!!! So… here it is! 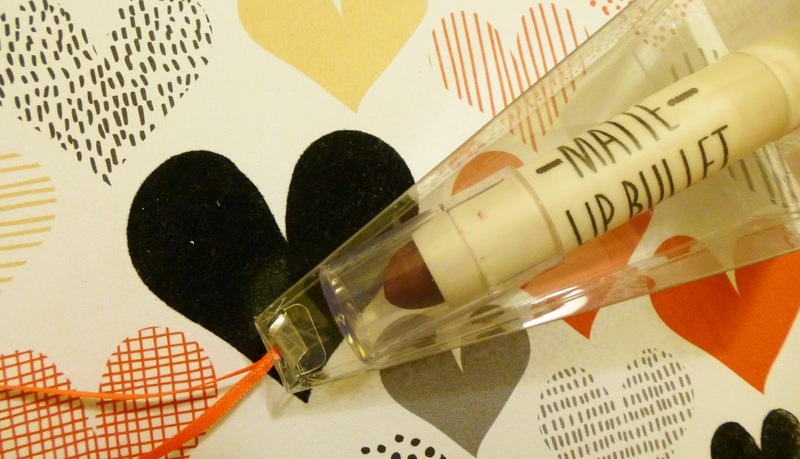 This is actually my FIRST Topshop beauty product…. Shocking I know! I have heard such good things. It’s a matte lip bullet in ‘get me bodied’ in the smaller christmas special version, which means it’s £5 instead of £8, which I thought was great because lip products seem to last me AGES anyway 🙂 & it comes in this cute little hanging ‘christmas’ tree shape carrier. I found it in the christmas kind of gift area rather than with all the other lipsticks. I think there were only two shades in this range, but that may have just been my store! Let’s look a bit closer….. It’s a gorgeous berry plum kind of red wine colour. I don’t find it particularly drying even though it is a matte formula. I am not sure if it is just the lighting of the photo but it makes my teeth look a bit yellow 🙁 booooo. 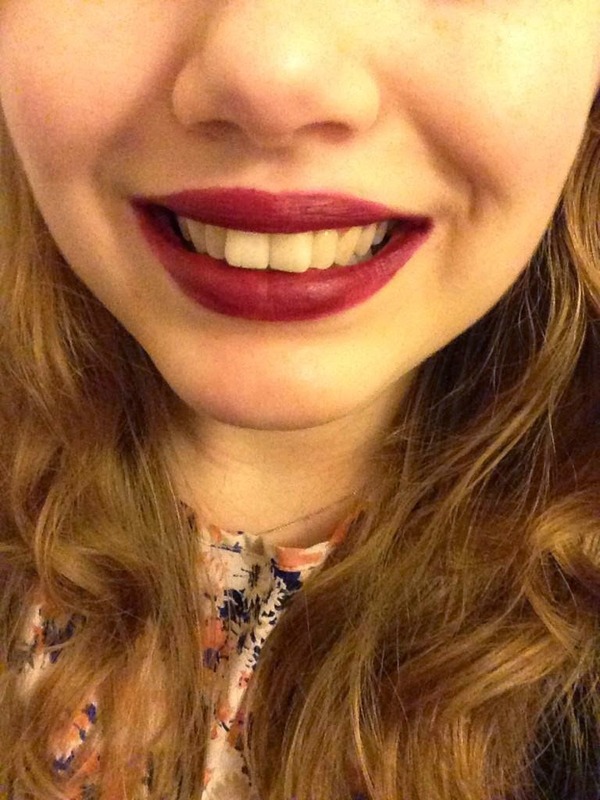 Overall, a really lovely lasting lipstick, although sometimes maybe a bit too ‘lasting’. *TIP* I would definitely advise you either use a liner, or a lip brush when you use this lipstick. BECAUSE if you make a mess / uneven kind of edge, it looks really silly because it really stains when you try to take it off 🙁 I did this the first time and I didn’t look the most pleasant! For the above photo I used a Real Techniques detailer brush to line the edges and filled in, and it turned out A LOT better, so I fully recommend! 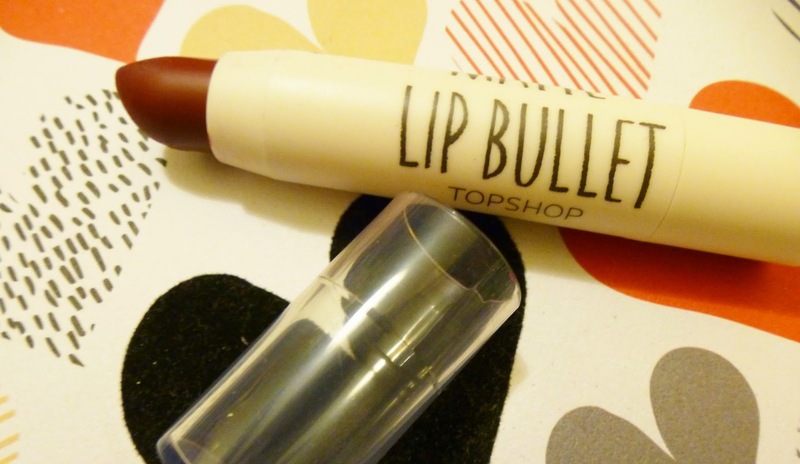 Have you tried any of the Topshop Lip Bullets? The lip colour is lovely, you really suit it! 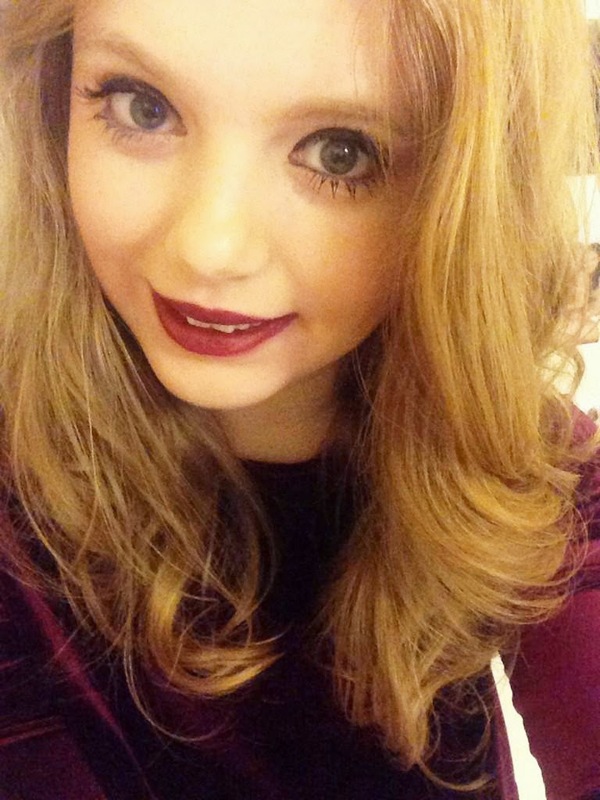 I love the topshop make up especially their lip products! Topshop makeup is a YES. It's honestly amazing. I'm not sure if you know but its made by Mac so its amazing quality but slightly cheaper!! I'm Kayleigh, a Graphic Designer based in sunny Yorkshire. I love berries (they are even better on top of a cheesecake) I blog about whatever I fancy really, with a particular love for breaking Mental Health stigmas! GIVEAWAY | A Very Berry Giveaway! BEAUTY | Benefit Puff Off – Worth The Hype?